It’s the pride of every parent to have well-behaved and well-groomed kids. You don’t your kids to the unkempt one throwing tantrums at the mall with stupefied onlookers wondering where their parents are. You should therefore take the responsibility of ensuring your kids are well-mannered, presentable and smart. You have to make sure your kids observe good personal hygiene and wear decent clothes. You don’t have to break the bank to achieve this. Your kid’s clothes don’t have to be designer wear as long as they are clean, comfortable and well-fitting. These grooming tips will come in handy. You have to wash your kids when they are young but as they grow older, they can take on more responsibilities for their personal hygiene including taking a shower on their own. Don’t expect your kids to know how to clean themselves well immediately you stop bathing them. The transition has to be smooth. Teach them how to scrub themselves properly paying particular to the armpits where bacteria that cause body odour most resides. Your kids should be able to decently clean themselves by the time you let go of total control over their personal hygiene. To avoid bad breath, dental plaque and frequent visits to the dentist, which most kids dread, your kids should brush their teeth twice every day. They must rid the mouth of the food remains from their dinner, which when couple with reduced saliva production when one sleeps, can accelerate the formation of plaque. Teach your kids the correct technique for brushing their teeth. Kids tend to rush through their brushing routine missing out on some parts of the mouth where dental plaque starts building from. If you brush properly, you should take less than two minutes cleaning your mouth. More importantly, they need to change their toothbrush every three months or after falling sick with a cold. You will have to be involved in helping your kids take care of their hair until they reach their teenage years. The shampoo you use in cleaning your kids hair should be mild to avoid irritation. Let your kids have some say on whether they want long or short hair and the hairstyles they want to have. Temp Fade is favorite hairstyle among boys. By the time they reach 10, they should know how to wash and dry their hair. 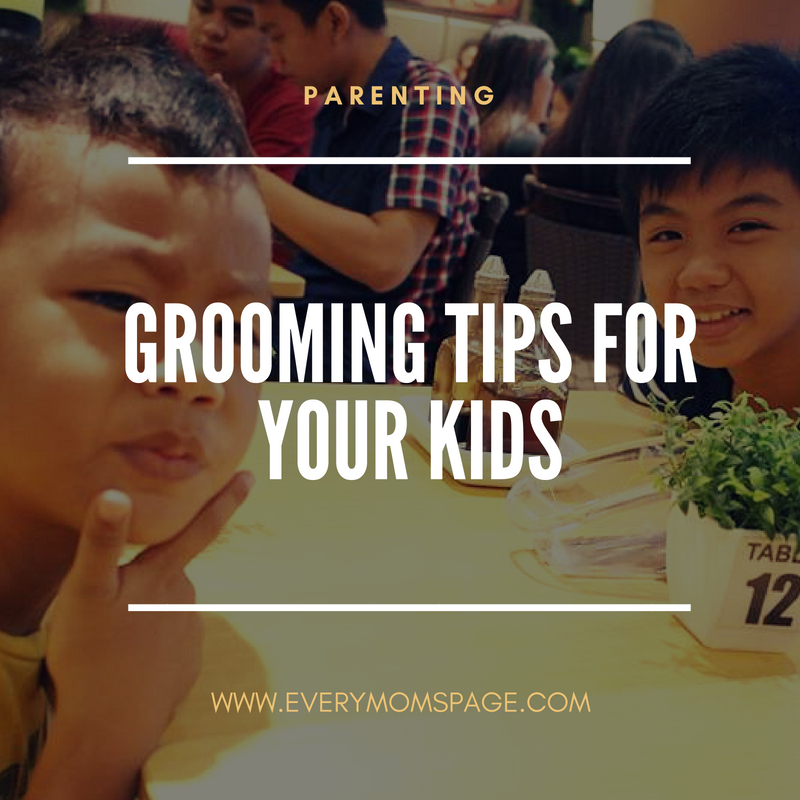 This is one aspect of your kid’s grooming that is almost solely your responsibility. It’s your duty to ensure your kids have decent and clean clothes all the time. While kids grow fast, do not buy your kids clothes that are several sizes bigger because they will grow into them. Kids need to be comfortable as much as you do and oversize or undersize clothes hinder their movement in addition to restricting blood flow. The material of the clothes also matter. Go for soft fabrics like cotton and shun synthetic fibers like polyester materials that cling to the body. While at it, teach your kids the importance of wearing fresh clothes every day.